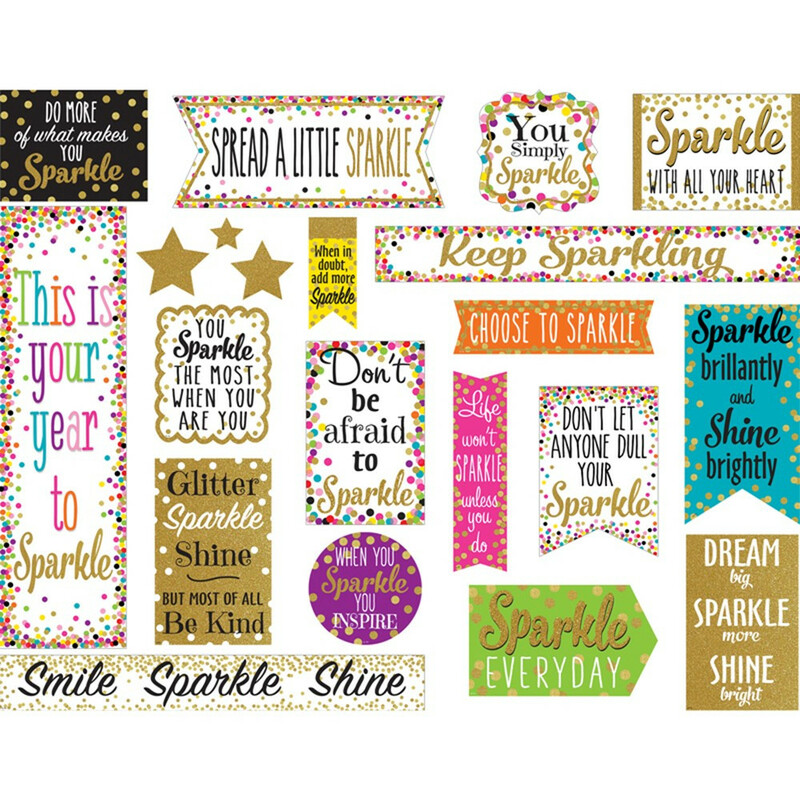 Make your whole classroom "Sparkle and Shine" with this colorful confetti mini bulletin board. 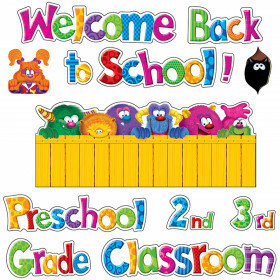 The uplifting messages are displayed on signs in a variety of shapes, colors, and sizes. 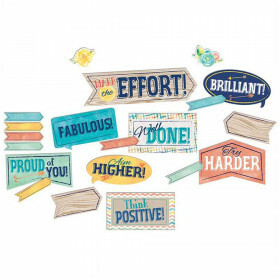 Display them all around your classroom to inspire students and build self-esteem. Includes 18 banners and 6 star accents. Largest piece measures 21" x 6". 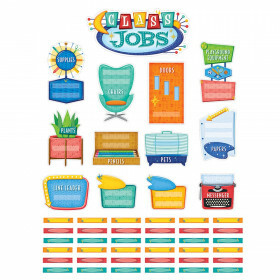 Includes 24 pieces total. Looking for something similar? 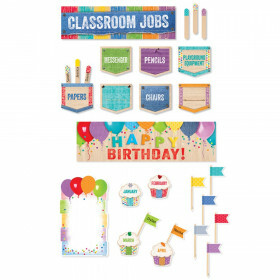 View our Classroom Theme or Bulletin Board Sets-Mini sections to find more teacher supplies items similar to Confetti Sparkle And Shine Mini Bb.